Fisherboys | Irene Abdou Photography, LLC - Travel. Lifestyle. Documentary. NGOs, Development & Public Health. Ganvie, Benin, with some 3,000 stilted buildings and a population of 20,000-30,000 people, may be the largest "lake vllage" in Africa. 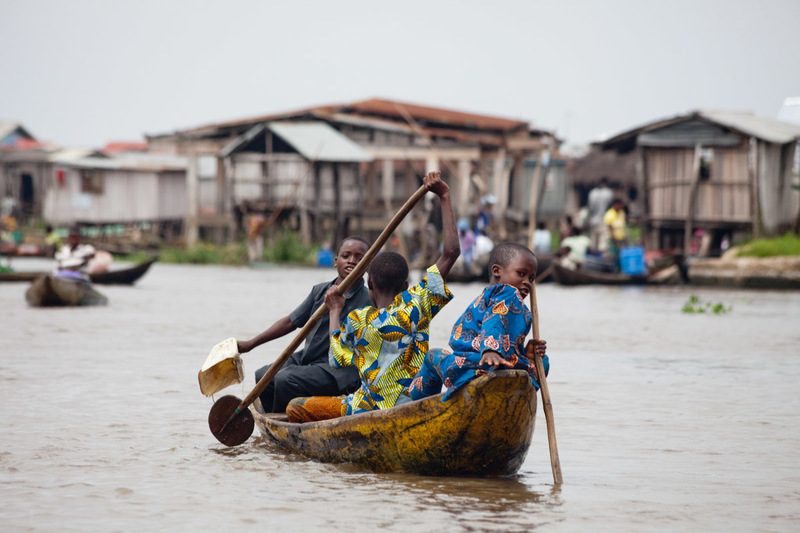 In Ganvie, the population lives exclusively from fishing, building houses on stilts in and next to Lake Nokoue. Because the Dan-Homey religion prohibited attacks on communities living in the water, the village of Ganvie dates back to the 16th or 17th century, when it was built to protect people from slavery.